For some, that dream seems like it will never become a reality. The truth is that it doesn’t have to be that way. That dream is closer to becoming a reality than you think. In this post I’ll talk through some important questions you need to be asking yourself. And I’ll give you some tips to help you get closer that all important goal. #1 – Are you passionate about helping your audience? Passion is great, but it’s not enough. It’s a given that you have to enjoy the topic you blog about, but you need more than that. Passion is not enough to convince people to take out their wallet. Don’t get me wrong, passion is important. It’s a powerful motivational force and your readers will soon start to see through you if you don’t give a damn about your topic. However your blog should be more about your audience than it is about you. Your audience is why you do what you do and without them you won’t get far. And when you focus your passion on solving the problems your audience faces, it makes a huge difference. How can I use my passion to help others? #2 – Are you willing to do it for free, at least for a while? I have spoken with many successful bloggers and most of them started blogging as a hobby. Jim Wang, the founder of Bargaineering, a blog that was sold for $3 million, stated that his blog started out as a hobby. Did Jim start out for money or fame? No, he wanted to share his ideas and experiences with others. Many of the blogging greats out there didn’t get any traction for a couple of years into their blogging careers. If money was their only motivation, most of them would have quit. If you are going to succeed, you have to be willing to do it for free, at least for a while. Does this mean I can’t monetize my blog straight away? Get started as soon as you can but consider which tactics are going to work best for you. Publish books through the Kindle store or through your own blog using services like Selz. Offer services to your readers. Many bloggers offer writing, social media and other professional services relevant to their followers. Consider starting a consulting business. Sell tutorial videos through your blog or sites like uDemy. #3 – Do you have a unique voice? A unique voice is an essential ingredient that will enable you to gravitate towards success. Developing your unique voice could be one of the most difficult things you will do as a blogger. I wish I could tell you there’s a secret recipe, but there isn’t. Don’t try to imitate others or be just like them. It is true that even some of the greatest artists are influenced by others, but the key is not to copy. Aspire, take inspiration but do it your own way. It will take time, but it will happen if you are willing to share your story. Whatever your niche is, share how it relates to you and to your audience. We all experience life differently. Your job is to communicate your own unique journey through your blog. Be transparent – Don’t cover things up. Show who you are. Don’t be afraid to be vulnerable. Share your successes and your failures – People understand that there are ups and downs. If you are willing to share, you are one step closer to gaining the trust of your audience. Communicate through stories – Everyone love stories. Share as many of them as you can but remember to keep them valuable, relevant and engaging. Read many other blogs – Voracious readers make better writers. #4 – Can you build a network? You can succeed alone but it takes longer, more effort and more money. What actions do you take to grow your network? 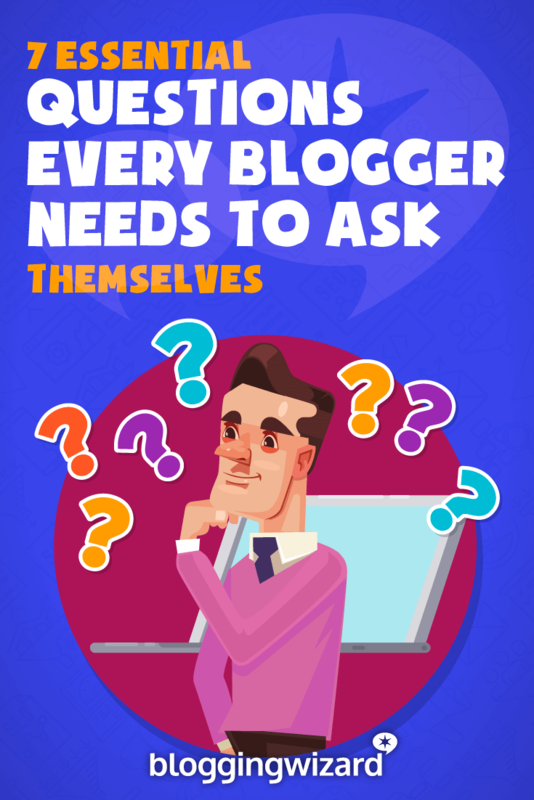 “When you ally with more-established bloggers and many up-and-coming writers, you’ll quickly recognize the power of collaboration and networking”. The size and quality of your network will determine your level of success. If networking isn’t your thing, make it your mission to become one. Take small steps out into the community and start getting your face recognized. It’s achievable if you put your mind to it and it helps to think of this as making new friends. That’s all this really is. It takes time and there are no shortcuts. Building your network is building your blogging future. But it is worth your time. It’s a long-term investment that pays high dividends in the form of loyalty and authority. Take a real interest in other people – If you fake it, people will figure you out. Try to be helpful – When you offer to help, people will remember you. Connect – Twitter and other social networks are great places to connect with others like-minded people. Comment – When you take time to read and comment on other peoples’ blogs they’re likely to return the favor. Stay in touch – People are busy, so it’s your job to stay in touch without being annoying. Don’t overdo it – Just like you can’t have thousands of friends, neither can you have thousands of people in your network. Start small. Identify ten people that you want in your network and build strong connections with them. #5 – Are you willing to learn? Even if you find a niche you love, learning is essential. Set aside some time every day to read new blog posts, books and other training materials. Keep expanding your horizons. #6 – Are you setting goals? Setting the right goals in the right way will drive your success. It’s important to be able to express your goals in numbers. This makes them measurable. The alternative is a goal that you never quite reach. Start off with your most important long term goals (this post will help you) then work backwards to figure out how you can make your goals a reality. Break things down into smaller goals and individual tasks you can carry out on a regular basis. I will install WordPress and setup my blog. I will write 2 blog posts every week, and publish on Tuesdays and Thursdays at 9am Eastern Time. I will publish 2 guest posts each month. Every blog post I write must be at least 500-words long. I will make 10 meaningful comments on blogs I follow each week. I will promote each post that I publish. Each month I will get 1000 Twitter followers. Every 60 days I will reach out to each of the 20 people in my network. Setting goals is easy; keeping yourself accountable is the hard part. If you need to, hire a coach or ask someone you trust to hold yourself accountable to, so you don’t slack off. #7 – Are you willing to do what it takes to succeed? You have to be prepared to put the hard work in. Creating a successful blog takes time and a lot of effort. You might have to pivot to a different topic if there is no interest. You don’t have to get it right the first time or the second time, but you have to keep trying. Willing to make adjustments – May be the niche you selected isn’t the right one. You are not supposed to get everything right the first time. Keep trying, find out what works and use what you learn. Disciplined – You have to develop an internal voice that keeps you on track. There is no boss to nag you. Create and work from an editorial calendar and stick to it. Prepared to persevere – Many times giving up seems easier than sticking to your plan. The longer you fight on the more likely you’ll figure out what it takes to succeed. You might not be making money from your blog from day one but you have to think about blogging as a business from the beginning. Focus on creating a well thought out and strategic plan. If you do this you will be giving yourself the greatest possible chance for not just achieving your goals, but exceeding them. George Meszaros is a serial entrepreneur and the cofounder of Success Harbor, a hub dedicated to providing startup and business advice through interviews, original research, and unique content. George Meszaros is also cofounder of Webene, a web development and marketing company.